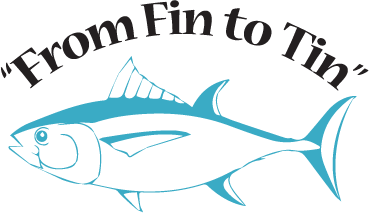 From Fin To Tin - Merino's Doing Quality Seafood Right! At Merino’s, we like to call our process “From Fin to Tin” We take pride in our products and want to share a bit about what we do and where we get our seafood. We call it “From Fin to Tin” because we start with a whole fish and hand process it in-house all the way to the finished product, ie. Merino’s Canned Albacore Tuna. Each fish is hand filleted, hand cleaned, and hand packed into each can. We only cook it once, to retain all of the natural flavor, juices, and nutrients. You won’t find any harmful additives in our canned seafood, and we use only fresh, natural ingredients for taste. For those of you new to tuna. Here is how to clean out the blood line. It's very important to remove it. The blood line is just that, blood and if not removed will leave a bitter taste behind after cooking. Cleaning the Tuna fillets/ loins to make sure that only the best of the tuna goes into each can. All of our Albacore tuna is pole and line caught in the wild using a hand operated pole and line method that eliminates bycatch ensuring the safety of other animals. Our captains are dolphin safe trained and certified. Our salmon are also caught using a pole and line system preventing the danger to other species. Our local fishery is very well managed and certified sustainable by the Marine Stewardship Council (MSC), and our Albacore is rated a “Best Choice” by the seafood watch guide, and according to NOAA U.S., wild-caught Pacific albacore tuna is a smart seafood choice because it is sustainably managed and responsibly harvested. The safety of the food and products is a high priority to us. Merino’s is committed to keeping ingredients of concern from our products where possible. Merino’s seafood products are harvested in the wild from the North Pacific by local fishing vessels just miles off of our Washington coast. Locally Caught and processed seafood delivers a high-quality product while supporting our coastal communities, providing essential jobs for our families right here in the beautiful Northwest. Merino’s has roots in Westport. We are Owned and Operated by a long-time local family that cares about the local community and local fisheries. The general rule for all seafood is that the older the fish the more time in its life it has had to accumulate any metal in its environment, natural or human-made. From the perspective of Tuna – raised levels of naturally occurring Mercury is recognized as a possible issue in older tuna. For example, some species of tuna may live up to 50 years. 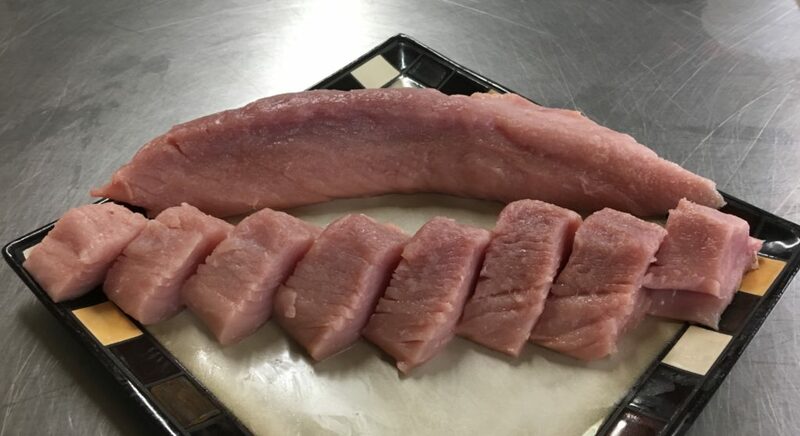 We only use American caught Albacore Tuna (Thunnus alalunga). There are other species in some locations that are misidentified as Albacore, like the following. Northern Pacific American Albacore tuna start their lives in the warm waters from Hawaii in the northeast to New Caledonia in the southwest. In its first year of life, the tuna will grow to about 17 – 19 inches. Albacore Tuna are a highly migratory species and migrate annually throughout the North Pacific following the warm water currents. We have the opportunity to catch them in the summer and early fall when they are near our Washington coast. As the season changes and the waters cool they retreat back south. 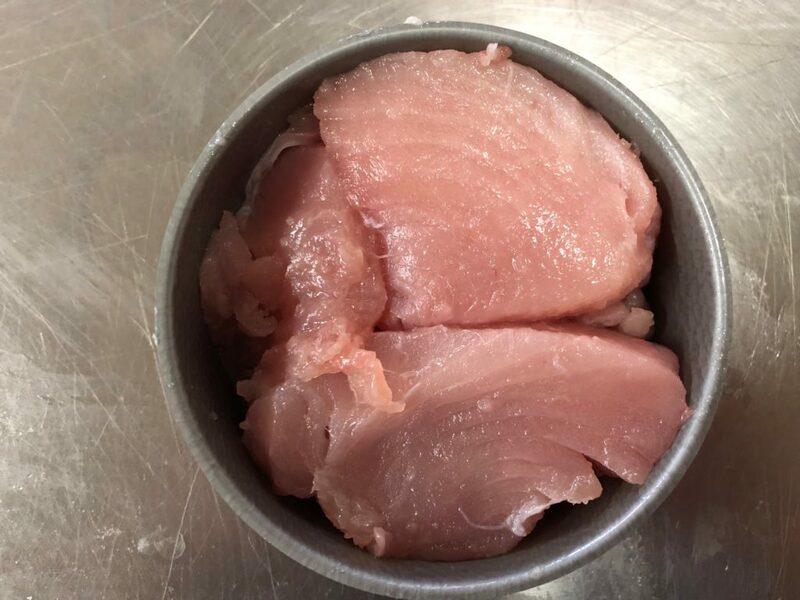 The reason that Mercury is not an issue for Albacore Tuna caught in the coastal waters of the Pacific Northwest is that the fish harvested in this area are typically 2 – 4 years old and weigh around 10 – 24 lbs. They are too young to have accumulated any harmful levels of Mercury. Marine fish, like Northern Pacific Albacore, have naturally high levels of Selenium. Selenium acts as a mercury magnet with a very strong binding affinity for the toxic substance. This strong attraction allows selenium to mix and neutralize their reaction characteristics. This new Hg – Se substance that is produced is not absorbed by the body and gets flushed out of the system.